"Come near, you nations, and listen; pay attention, you peoples! Let the earth hear, and all that is in it, the world, and all that comes out of it! The Lord is angry with all nations; his wrath is on all their armies. He will totally destroy them, he will give them over to slaughter. Their slain will be thrown out, their dead bodies will stink; the mountains will be soaked with their blood. My sword has drunk its fill in the heavens; see, it descends in judgment on Edom, the people I have totally destroyed. The sword of the Lord is bathed in blood, it is covered with fat— the blood of lambs and goats, fat from the kidneys of rams. For the Lord has a sacrifice in Bozrah and a great slaughter in the land of Edom. And the wild oxen will fall with them, the bull calves and the great bulls. Their land will be drenched with blood, and the dust will be soaked with fat. For the Lord has a day of vengeance, a year of retribution, to uphold Zion’s cause. Edom’s streams will be turned into pitch, her dust into burning sulfur; her land will become blazing pitch! It will not be quenched night or day; its smoke will rise forever. From generation to generation it will lie desolate; no one will ever pass through it again." God will share his glory and his blessing with those who trust in him. The self-willed are going to be destroyed by God. Some of the language of chapter 34 may be offensive to the reader, but the point is that sin is offensive to God. A sacrifice for sin is required. Here the nations are seen as being the sacrifice for their own sins. The judgment is not just upon man and the earth. The judgment extends to the universe 34:1 The nations are called together in Isaiah 1:2 to serve as witnesses for God against his people Israel. Here in Isaiah 34:1 the nations are called to again, but this time it is for judgment. 34:2 “Totally destroy” is herem in Hebrew and is the word used for totally dedicating something to God by destroying it. this was the word used for the destruction of Jericho where the total destruction indicated that God alone was the victory. No one else got to take any of the spoils. Why? Because only God won this battle. Numbers 20:14-21 – Edom tried to block what God was doing for the world by revealing himself to Israel. 34:6 The destruction of the nations is seen as a sacrifice. A sacrifice for their own rebellion. All sin must end in a sacrifice either of the sinner or of one in place of the sinner. Isaiah 53 anticipates this. Salvation of the people of God is only possible because of Isaiah 53. Isaiah 2:1-4 sees a day when the nations will learn the ways of God. But, if they do not learn his ways (such as the sacrifice of Christ) then they will be slaughter as their own sacrifice. 34:7 “wild oxen. . .bull calves. ..great bulls” may refer to animals or to the political leaders of Edom. Some translations read this as “men as strong as wild oxen . . .young men. . .veterans” Bozrah is 25 miles southeast of the Dead Sea. The Lord is seen coming from Edom in Isaiah 63. This is the picture of the trampling of the winepress of Revelation 14:17-20 34:8 The nations have rebelled against God. And in their rebellion they have attacked God’s people. Neoles meaning “youth” in Mark 10:20; Acts 26:4; 1 Timothy 4:12. Neoteros which means “younger widows” when it is in the feminine in 1 Timothy 5:11, 14; 1 Peter 5:5. Neos in the feminine means “young woman in Titus 2:4. Do distinguish between the ways of the world and the ways of God? Can I discern people and nations that are antagonistic to God's plan? I will choose to follow the Lord in my values, attitudes and actions. 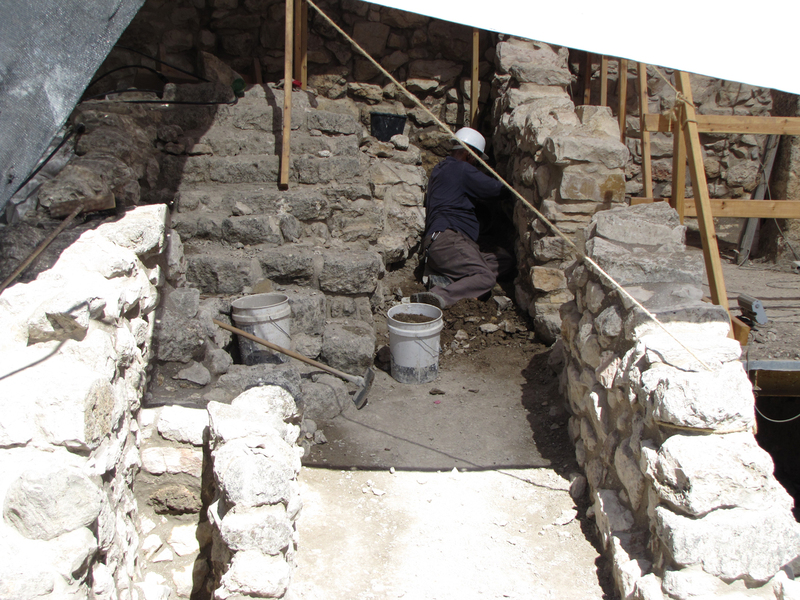 Excavation under David's Palace near the Jebusite Wall, or the Large Stone Structure. 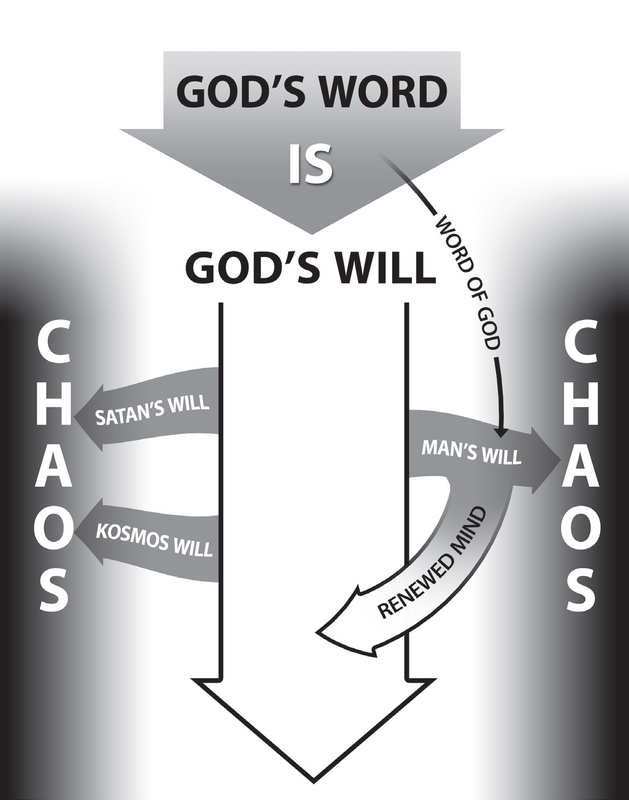 A diagram detailing how God's Word in our soul renews our mind and helps us to avoid the chaos of our fallen nature, the fallen kosmos and Satan's will. let them drink and forget their poverty and remember their misery no more." [a]How deserted lies the city, once so full of people! How like a widow is she, who once was great among the nations! She who was queen among the provinces has now become a slave. Bitterly she weeps at night, tears are on her cheeks. Among all her lovers there is no one to comfort her. All her friends have betrayed her; they have become her enemies. The roads to Zion mourn, for no one comes to her appointed festivals. All her gateways are desolate, her priests groan, her young women grieve, and she is in bitter anguish. All the splendor has departed from Daughter Zion. Her princes are like deer that find no pasture; in weakness they have fled before the pursuer. Jerusalem has sinned greatly and so has become unclean. All who honored her despise her, for they have all seen her naked; she herself groans and turns away. The enemy laid hands on all her treasures; she saw pagan nations enter her sanctuary— those you had forbidden to enter your assembly. “Is it nothing to you, all you who pass by? Look around and see. Is any suffering like my suffering that was inflicted on me, that the Lord brought on me in the day of his fierce anger? “From on high he sent fire, sent it down into my bones. He spread a net for my feet and turned me back. He made me desolate, faint all the day long. “My sins have been bound into a yoke[b]; by his hands they were woven together. They have been hung on my neck, and the Lord has sapped my strength. He has given me into the hands of those I cannot withstand. “The Lord has rejected all the warriors in my midst; he has summoned an army against me to[c] crush my young men. In his winepress the Lord has trampled Virgin Daughter Judah. “The Lord is righteous, yet I rebelled against his command. Listen, all you peoples; look on my suffering. My young men and young women have gone into exile. “I called to my allies but they betrayed me. My priests and my elders perished in the city while they searched for food to keep themselves alive. “See, Lord, how distressed I am! I am in torment within, and in my heart I am disturbed, for I have been most rebellious. Outside, the sword bereaves; inside, there is only death. “People have heard my groaning, but there is no one to comfort me. All my enemies have heard of my distress; they rejoice at what you have done. May you bring the day you have announced so they may become like me. “But you—come here, you children of a sorceress, you offspring of adulterers and prostitutes! Who are you mocking? At whom do you sneer and stick out your tongue? Are you not a brood of rebels, the offspring of liars? The idols among the smooth stones of the ravines are your portion; indeed, they are your lot. Yes, to them you have poured out drink offerings and offered grain offerings. In view of all this, should I relent? Behind your doors and your doorposts you have put your pagan symbols. Forsaking me, you uncovered your bed, you climbed into it and opened it wide; you made a pact with those whose beds you love, and you looked with lust on their naked bodies. You went to Molek[a] with olive oil and increased your perfumes. You sent your ambassadors[b] far away; you descended to the very realm of the dead! “Whom have you so dreaded and feared that you have not been true to me, and have neither remembered me nor taken this to heart? Is it not because I have long been silent that you do not fear me? I will not accuse them forever, nor will I always be angry, for then they would faint away because of me— the very people I have created. I was enraged by their sinful greed; I punished them, and hid my face in anger, yet they kept on in their willful ways. “Shout it aloud, do not hold back. Raise your voice like a trumpet. Declare to my people their rebellion and to the descendants of Jacob their sins. Is it not to share your food with the hungry and to provide the poor wanderer with shelter— when you see the naked, to clothe them, and not to turn away from your own flesh and blood? Then your light will break forth like the dawn, and your healing will quickly appear; then your righteousness[c] will go before you, and the glory of the Lord will be your rear guard. then you will find your joy in the Lord, and I will cause you to ride in triumph on the heights of the land and to feast on the inheritance of your father Jacob.” For the mouth of the Lord has spoken.